Technical talent can become innovators, successful entrepreneurs and inspiring leaders. Learn the seven deadly career-limiting mistakes techies make and how to avoid them. Be inspired to rock your career by a metalhead turned gearhead engineer, MBA, yogi, and global innovation leader. 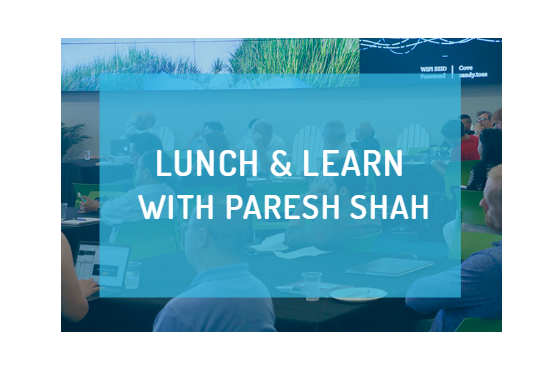 Every 1st and 3rd Friday of the month, UCI Applied Innovation hosts a Lunch & Learn series at the Cove where subject matter experts present on a particular topic within or relevant to innovation and entrepreneurship. Topics range in breadth from branding and marketing to pitching mistakes to avoid, investor relations, prototyping, and more. Previous Lunch & Learn presentations are available on our SlideShare website and YouTube channel.